It all began in 1997, when Romanian-born, creative visionary, Anastasia Soare opened up her flagship store in the ritzy city of Beverly Hills. Beauty entrepreneur and CEO, Soare took her business to new heights and it shortly became one of the fastest-growing global beauty businesses. 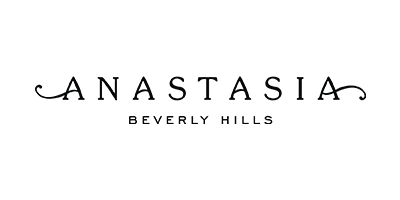 Anastasia Beverly Hills today, is a hub and playground for makeup artists, aficionados and amateurs around the world, presenting them with the very best makeup and tools they need to look and feel beautiful. From launching their first product line in 2000 to now being recognised amongst the elite, Anastasia Beverly Hills has made huge waves in the industry and is sold in selected retailers in over 25 countries. Renowned for their contour palettes, eyeshadows, glow kits and, more noticeably, their multi-award-winning brow pencils and pomades, Anastasia Beverly Hills has everything you need to accentuate your natural beauty and perfect your look. Take a look around and be inspired by the brand that’s influenced so many others.